Vietnamese Culinary 12 days is a deep visit around the country in order to taste and discover the delicious meals and dishes that we can savor in every different region. We will arrange cooking lessons in every destinations, so you would know how to cook typical Vietnamese dishes from each region. 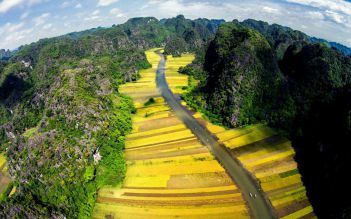 We also combine gastronomy with some highlights attraction of Vietnam (Ho Chi Minh, Mekong Delta, Hoi An, Hue, Hanoi and Halong Bay). Delight your senses with this delicious trip! Warmly welcome on arrival Tan Son Nhat Airport by our driver & AC car. Our driver transfers you to hotel in Ho Chi Minh. 8:00: Welcome tourist at hotel leave for Cu Chi Tunnels - played a vital part in the U.S.-Vietnam War in that they allowed the Viet Cong to control a large rural area only 30 to 40 km from former Saigon. At its height, the tunnel system stretched from Saigon to the Cambodian border. The network, parts of which were several levels deep, included innumerable trap doors, specially constructed living areas, storage facilities, weapons factories, field hospitals, command centers and kitchens. 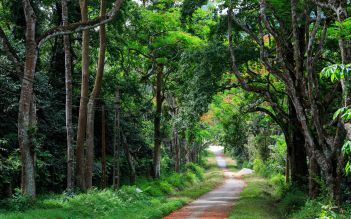 Visit and explore Cu Chi Tunnel - become a major tourist attraction giving the visitor a unique experience and feel of what underground life during the war must have been like. The tunnels have been widened for our benefit (otherwise we would not be able to enter them!) For those interested there's even the opportunity to fire off rounds from an AK47 or MK16 at the nearby rifle range. Drive back the City then have lunch at local restaurant. In the afternoon, you will have a chance to discover the Ho Chi Minh city tour through the visits of: War Remnants Museum, The Reunification Palace, Notre Dame Cathedral and the Central Post Office. Don't miss the bustling Ben Thanh Market - a fantastic place for bargains of every kind! 17:00 Ending tour at your hotel. Get picked up from your hotel in Ho Chi Minh City at 7:30am. Visiting HCM Agricultural Villages: Cow areas; Buffalo Areas; Rice Fields; Fish, prawn, chicken, duck areas; Big Herbs, Spices, Vegetables and Mushrooms areas. Next, you will have challenges cooking Challenges with three dishes and 1 dessert then enjoy what you have done. It’s time to collect the cooking class certificate and drive back to city. 13:30: End tour at your hotel in Ho Chi Minh City. 08:00am Pick up from your hotel to Saigon to go to Ben Tre. The boat will cruise along the Ham Luong river (a branch of the Mekong) and stop off at various local workplaces to give you a picture of how the local economy works, including a brickwork, where bricks are still painstakingly made by hand; a salt refinery; a coconut processing workshop, where you can sample fresh coconut and see how every single part of this versatile nut is turned into food and other products; and a mat weaving house, where straw mats are woven using a hand loom – you can even have a go at weaving yourself! The boat will then stop at a quiet village where you can have a short walk to experience real Delta village life, before boarding your xe loi (a kind of motorized rickshaw) and travelling into the forest where you can visit fruit orchards before stopping at a riverside restaurant for a delicious and filling lunch, featuring such local specialties as elephant-ear fish and river shrimp, washed down with some cold drinks or beers. After lunch, it’s time to board a sampan for a relaxing trip along narrow canals. Free at leisure until being picked up and transferred to Tan Son Nhat Airport for about 30 minutes by our driver for your flight to Da Nang City. 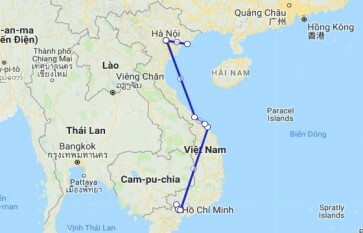 It takes about 1 hour to fly from Ho Chi Minh City to Da Nang. Upon arrival at Da Nang Airport, be welcomed and picked up by our driver to transfer to Hoi An. Check-in to your hotel and free at leisure. 17:00 Zip off the usual tourist trail, and straight into foodie heaven. A local food-loving guide will uncover hidden treasures and snacks favored by locals, such as white rose, bread, sweet soup. Then, head to the heart of Hoi An ancient town, sit on authentic boat on Hoai river in the evening and release flower garlands like a local. You also listen to interesting daily stories from boatmen. If you join our tour on Thursday and Saturday, we will play traditional folk games like Bai Choi (Bingo game), Dap Nieu (blindfolded game). 21:00 After tour, you have the option to return to your hotel, or on Pub Street, where you can experience Hoi An bar life. 08:00am In the morning picking up you at hotel lobby. Ride a bicycle to a local farm in Tra Que village. You will take a trip around the vegetable garden and join the farmers in preparing the land and fertilizing it with seaweed from the local lake. Continue doing some next steps such as: raking the ground, sowing, watering greens, picking greens and many more gardening activities. In the afternoon, walk to the old town, buy entrance tickets and begin the tour. After your walking tour, if you have free time, you can do shopping at the old town. Guide will take you back to the hotel. 16:00 Drop off at the hotel. Have breakfast then check out of your hotel. 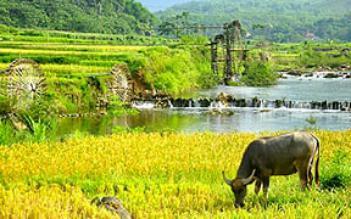 Take a car ride from Hoi An to Hue (3 hours). Pass by Danang, visit the Cham Museum. En route visit Marble Mountain, and see Lang Co Beach, Hai Van Pass and My Khe Beach. Arrive in Hue. Have lunch at local restaurant then Check in to your hotel in Hue. In the morning, 8:00 start your trip, board a boat for a trip on the Perfume River to visit the towering Thien Mu Pagoda, one of the most famous Vietnamese landmarks. Differing legends explain how the pagoda came to be - one tells of an old woman who instructed Lord Hoang Nguyen in 1601 to walk contemplatively along the river with a lit incense stick and to build a city at the spot where the incense stopped burning. We then take a short drive into a lush valley of the river where seven tombs were built for seven Nguyen emperors. Each is an expression of the unique personality of the man whose remains it holds and each is comprised of three elements: a temple dedicated to the worship of the deceased emperor and his queen, a stone stele that records the biographical and historical high points of his life, and the royal tomb itself. We will visit two of the tombs of emperors Minh Mang and Khai Dinh before driving outside of town for a lunch of classic Hue cuisine at a restaurant in a beautiful garden setting. In the afternoon, we return to the center of Hué city. The massive Kinh Thanh Citadel is the most well known and iconic site in Hué. 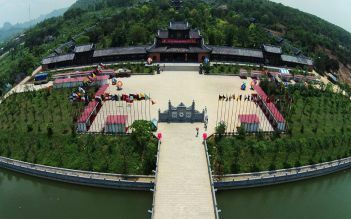 Begun in 1805 by Emperor Gia Long, it is actually a sprawling complex comprised of the Imperial City, several museums, lakes, and lovely gardens, all laid out in a series of concentric circles. We also visit the Forbidden Purple City, originally built in the early 1800s for the personal use of the emperor and staffed by eunuchs who posed no threat to the royal concubines. Nearly destroyed in the Tet Offensive, the ruins today house the Royal Library and the grounds flourish with mimosa plants and vegetable gardens. 17:00 End tour at Hue Airport. Take flight Hue – Hanoi. Arrive in Noi Bai Airport, get picked and transferred to your hotel in Hanoi. 12:30 Our drive and tour guide pick you up at your hotel then transfer to Temple of Literature - the first university in Vietnam, the site of Vietnam's oldest university and dedicated to one of the world's most famous scholars, Confucius. 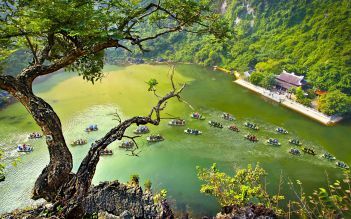 This morning leave Hanoi for Halong Bay – World Natural Heritage site – via the Red River Delta with 3.5 hours drive. Upon arrival to Halong Bay, you will be welcomed on board for a junk cruise and set sail in the bay while lunch is served. Cruising further in the the magical bay, you can see thousands of sculpted limestone islands rising from the waves like dragons' teeth on the turquoise waters. You have the morning free to relax before your return flight home. Finish unforgettable Vietnam trip. Then you will be transferred to Airport for your flight back home. Good bye & see you in the next time!